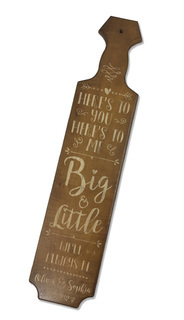 Here you'll find Our Most Popular Paddles. These are the paddles that Greeks (new and existing) and their family members choose the most when they're buying gifts for themselves and loved ones. 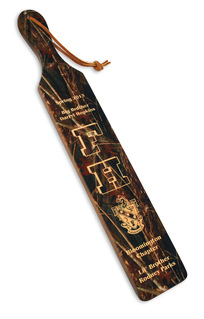 This is the right place to start if this is your first time placing an order for fraternity or sorority paddles -- they have to be just right! 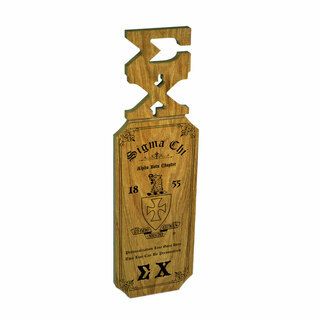 The standard Fraternity Paddle is designed with your organization's crest at the top, letters engraved at the center, a space for two lines of text at the bottom and a place on the back for your chapter name. 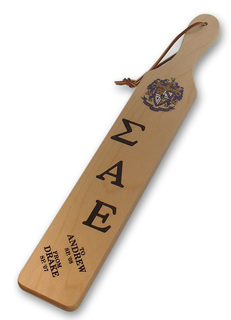 If you prefer a more colorful option, choose the Full Color Crest Greek Paddle. 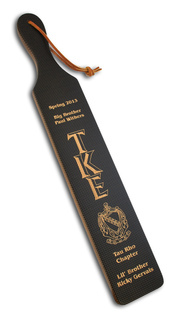 The background is a faint image of the org's full color crest with your letters imprinted on the front in one of your group's official colors. 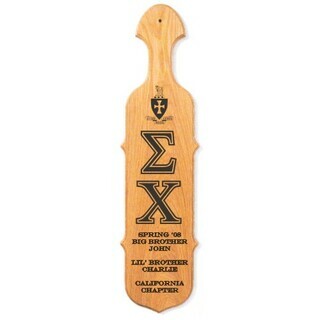 If you prefer to flex your creative muscles and make your very own gift, click one of the Design Your Own Paddle links. 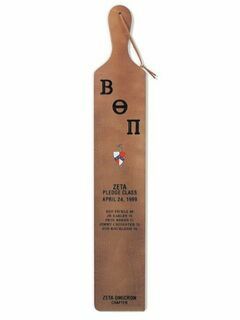 You'll be presented with a variety of paddle shapes and colors, then the option to add images, lettering, messages, dates and more. You decide on how everything's positioned. 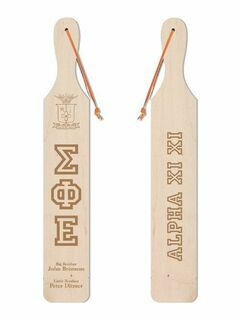 Pick one of Our Most Popular Paddles and customize it so that it's just right for the fraternity or sorority member you're buying for. There are plenty of free lines of text to express your custom message. If you're planning to hang this on a wall, choose the option to include a leather strap. 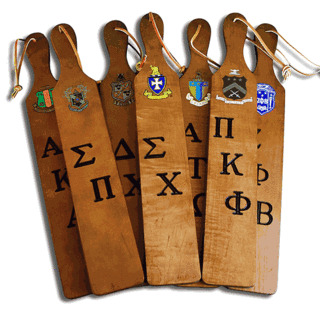 Our Most Popular Greek PaddlesThe Greatest Selection. Period.